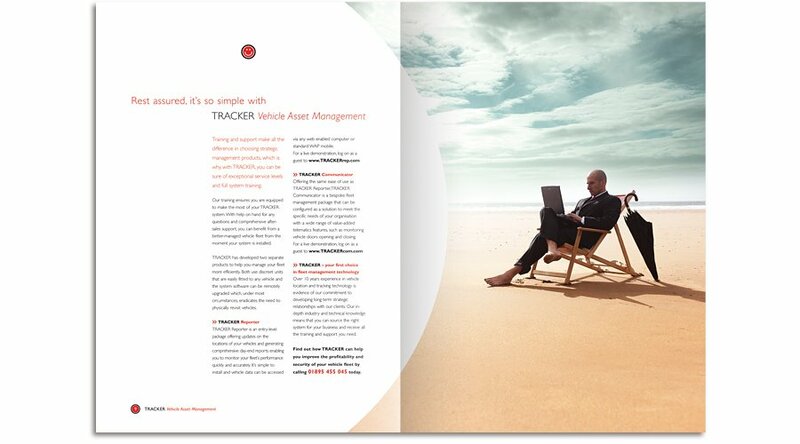 This 24 page brochure targeting fleet managers, explains the benefits of having an effective vehicle asset management system in place and what makes TRACKER the industry leader. 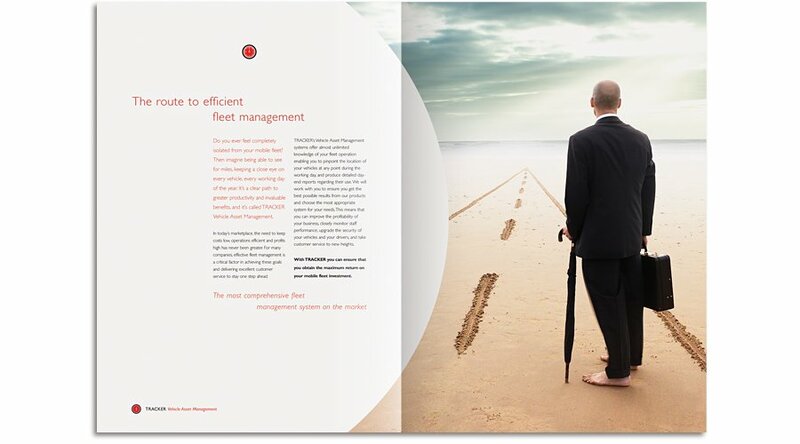 The photographic theme is styled to convey the remoteness of the fleet manager from their vehicles. 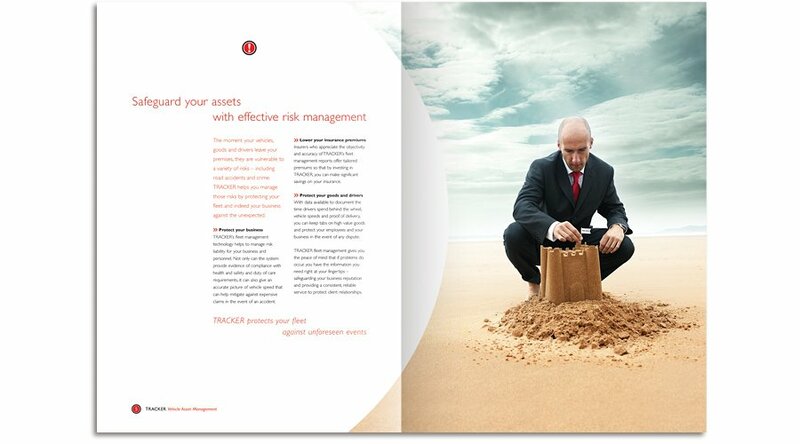 We art directed each shot to follow the key topics throughout the brochure. It involved a rather blustery and wet two day photoshoot on a beach in North Devon with a model who had the flu! Photoshop does wonders for colds. to get this one just right after it kept collapsing right at the point when the shot was being taken.